Taizhou Huangyan Chengxun Plastic Mould Factory is an ISO 9001 certified management system factory in China. 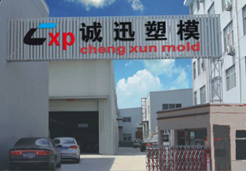 Chengxun is a specialized plastic mould supplier.The main products include : Automotive Mould,Battery Mould,Home Appliance Mould,Household Mould,Toilet mould,Bucket Mould,logistic series Mould,Commodity Mould,Vacuum Cleaner Mould,Refrigerator Mould,Air Conditioner Mould,Washing Machine Mould,Tv Mould,Motorcycle Mould,Thin Wall Mould.Products quality like gold is Chenxun's requirement of each mould, but also to every customer commitment.Welcome customers from home and abroad to inquire and negotiate business. Let's join hands for a bright future.